that scent was all I could recall. then all the else I could remember. I have not posted anything for a long while, the main reason being my pre-occupation with completing my Master’s degree in Digitial Science from Kent State. I completed the last course over the weekend and am now free to get back to two of my favorite pre-occupations: poetry and photography. So fair warning: more poetry to come! Thank you for reading I am getting old. I humbly appreciate your visiting the Book of Pain, and as always, I look forward to your comments. The photograph was taken on Long Island, New York, one beautiful New Year’s Day several years ago. To see my photography blog, please visit the Book of Bokeh. Photograph, poem and notes © John Etheridge; all rights reserved. The poem and accompanying notes are licensed under the Creative Commons Attribution-Noncommercial-No Derivative Works 3.0 Unported License. This applies to all original written work found on this site, unless noted otherwise. The attribution claimed under the license is: © John Etheridge, https://bookofpain.wordpress.com. The photograph is not licensed for use in any way without the expressed consent of its creator. and duration how long you understand it. an awkward fellow to know. there’s something that is yet undone. 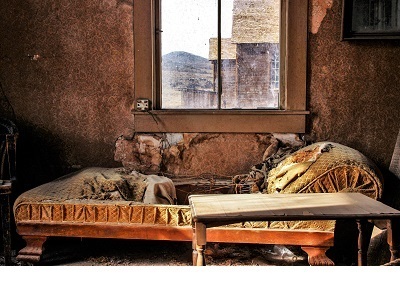 The photograph was taken in Bodie State Park, Bodie California…a very real ghost town. To see my photography blog, please visit the Book of Bokeh. Photograph, poem and notes © John Etheridge; all rights reserved. The poem and accompanying notes are licensed under the Creative Commons Attribution-Noncommercial-No Derivative Works 3.0 Unported License. This applies to all original written work found on this site, unless noted otherwise. The attribution claimed under the license is: © John Etheridge, https://bookofpain.wordpress.com. The photograph is not licensed for use in any way without the expressed consent of its copyright holder. I thought of Pip, our pet budgie bird. he looked and moved like an old, bald man. with a home that was—let’s say the words—deathly quiet. never have another budgie; none could equal Pip. an empty birdcage of a bed. It’s funny what you think of when, isn’t it? Budgies are small, colorful parakeets from Australia that make wonderful and personable pets. At birth, the line markings on their head go all the way to the beak but recede over time; in Pip’s case his head was pure yellow when he died. 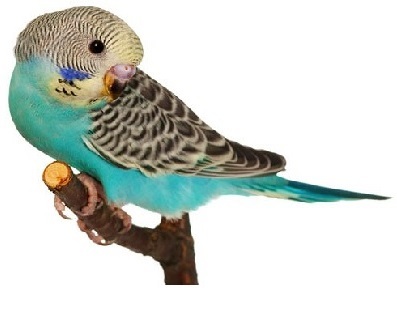 The only budgie we ever owned, he was a delightful little creature that my father adored and cared for. Pip lived, I think, to a very ripe old age (for parakeets) of around ten years and was, as I said in the poem, named after the protagonist in Charles Dickens’ Great Expectations. The ICU stands for Intensive Care Unit, where my father, who is 89 years of age, was taken after his recent heart attack. Last week, we (my sister, her son, and I) had rushed back to his home province, Newfoundland, in Canada, to be with him. Happily, I can report that dad survived the heart attack and at this writing is still, wonderfully with us. I have written several poems about him but the one I love the most is That tree. Thank you for reading Free to fly. I humbly appreciate your visiting the Book of Pain, and as always, I look forward to your comments. For my photography blog, please visit the Book of Bokeh. Poem and notes © 2014 by John Etheridge; all rights reserved. The poem and accompanying notes are licensed under the Creative Commons Attribution-Noncommercial-No Derivative Works 3.0 Unported License. This applies to all original written work found on this site, unless noted otherwise. The attribution claimed under the license is: © 2014 by John Etheridge, https://bookofpain.wordpress.com.